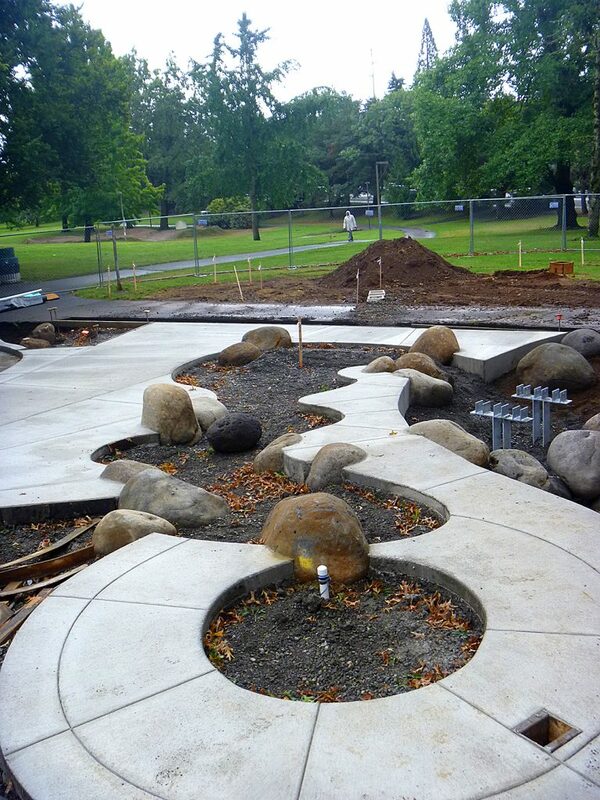 Located in East Portland, Ventura Park is a seven-acre park located adjacent to an elementary school. 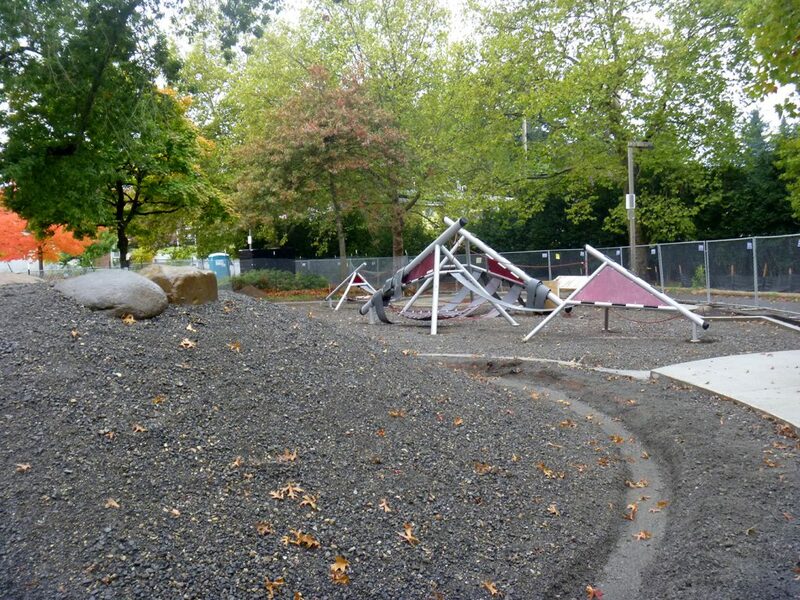 In 2017, Portland Parks & Recreation identified the playground at Ventura Park for replacement. 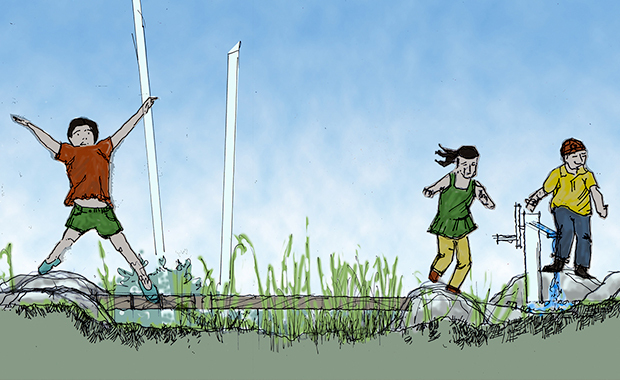 The bureau hired NNA Landscape Architecture to participate in a public engagement process and create plans for a new playground. We assembled a team of consultants and facilitated numerous open houses, during which we invited members of the community to share their ideas for the park. During those meetings, we learned that Ventura Park and playground is a highly valued community space where many different groups gather and connect. We set an ambitious goal of following Universal Design principles so that children of all abilities would be able to enjoy a diverse range of experiences when visiting the new playground. We focused on group play and imaginative opportunities, but also included quiet corners. 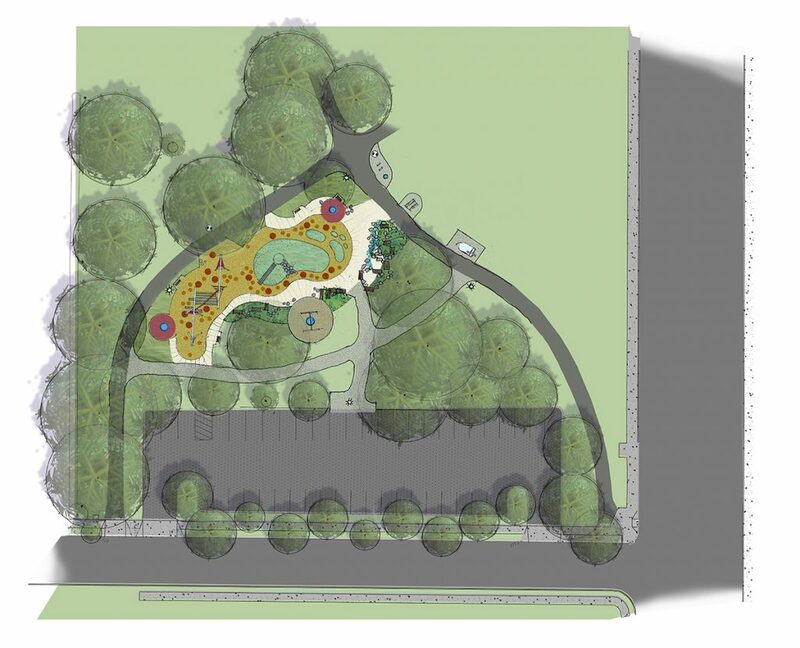 We designed one play area for older kids and one for younger kids, with the two connected by a large mound. 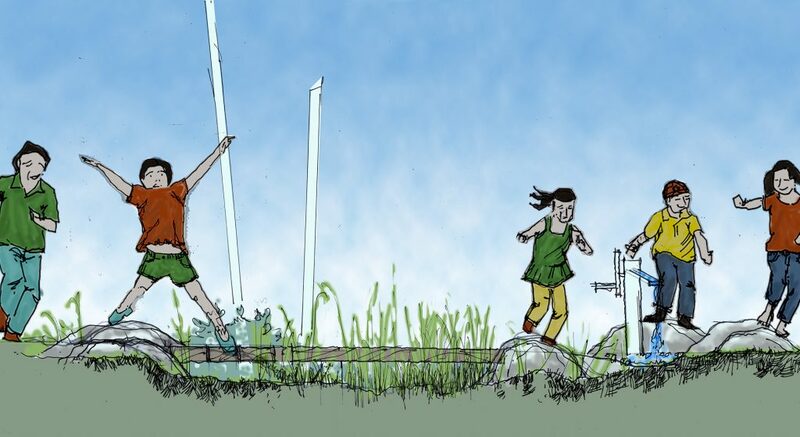 We incorporated swinging, spinning, bouncing, climbing, sliding, and exploring opportunities through the use of natural boulders and plants, water, wood, artificial turf and rubber. 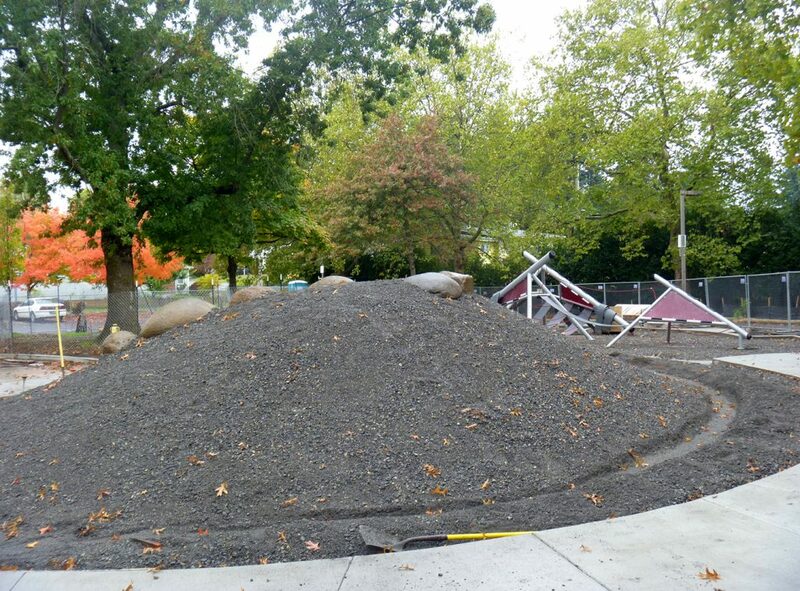 The play area is ringed with benches and picnic tables, and includes a Portland Loo (restroom), a new drinking fountain and bike racks.